Gopshtain tells Arutz Sheva that police indictment threat doesn't intimidate him, as his work to fight assimilation continues full force. Bentzi Gopshtain, director of the anti-assimilation organization Lehava, says that regardless of the police recommendation to indict him for "incitement" - despite a court ruling in favor of his organization - Lehava will continue its activities at full force. "I have no idea what indictment will be submitted here," Gopshtain told Arutz Sheva. "Prof. (Amir) Hetzroni who said awful things was not put on trial, but they'll put me on trial for words against assimilation." "I know that no one will defend me, not (Naftali) Bennett and not the Likud, maybe rabbis quietly will say 'good work' but not publicly," remarked Gopshtain. "The truth is disappearing, maybe if I was a professor at Be'er Sheva they would treat me differently," he said, in a jab at Hetzroni who made blatantly racist remarks against Sephardic Jews. Gopshtain and several other activists were arrested last December on vague allegations of "incitement," which the court threw out in ruling that Lehava's activities in combating assimilation - which is forbidden by Jewish law - are completely legal. Despite that, the police have reopened the investigation against Gopshtain. "I know that the attorney's office and the judges aren't on my side, but I'm ready to sit in jail," declared Gopshtain. "Lehava's activities continue as usual, it will increase the activities, there are more and more people trying to receive help and even if they declare us illegal we will continue our actions." According to the Lehava director, the trial "will be an ideological platform, to check if assimilation is racism, if the law of return (to Israel for Jews - ed.) is racism, if the statement 'who distinguishes between Israel and the nations' (said at the end of Shabbat - ed.) is racism, and if the state of Israel is a Jewish state or just a democratic one." Voicing criticism over election results, Gopshtain noted "many in the religious nationalist camp voted for Likud, and as is remembered Boogie (Moshe) Ya'alon wanted to declare us as a terrorist organization. It's a shame that religious Jews choose Likud and don't choose to strengthen the truth." 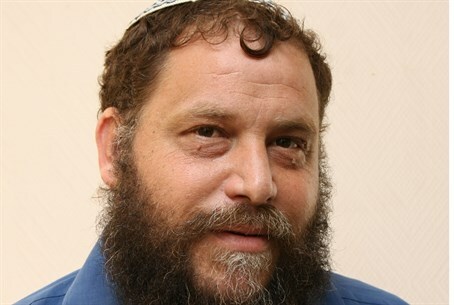 Gopshtain ran with former MK Dr. Michael Ben-Ari's Otzma Yehudit party before it merged into a joint list with Yachad - Ha'am Itanu, at which point only Baruch Marzel represented the party in elections. The joint list fell around 5,000 votes short of the newly raised threshold. Regarding the "terrorist" claims, Lehava has clarified it only operates within the framework of the law, working to convince Jewish girls and women in danger of being trapped in a relationship with Arab men to the dangers to them and to the continuation of the Jewish people. Gopshtain's lawyer, Attorney Itamar Ben-Gvir, said in response to the renewed police investigation "it is unfortunate that the police continue to pursue my client over this case, despite a court decision which determined that not every call against assimilation is racism." "Gopshtain should get a medal for services to the daughters of Israel," he added. "Outside of Israel there is the Jewish Agency that acts in this field (of fighting assimilation - ed. ), and in Israel there's Gopshtain and Lehava who do holy work."